Sometimes a baby will need assistance from doctors to be born in a hurry. There are a number of reasons why this might occur. Often a doctor will decide to proceed with an instrument-assisted delivery if there are signs that the baby is in distress. Assisted delivery may also be necessary if the mother becomes fatigued during the second stage of labour or if the mother has health issues that prevent her from pushing for a prolonged period of time. The vacuum and forceps are the two different instruments that might be used by the doctor to assist with a speedy delivery. Each offers different benefits and risks. Brain injuries that can lead to cerebral palsy. The vacuum has a higher failure rate than the forceps, but is less likely to cause serious damage to the mother during the delivery. 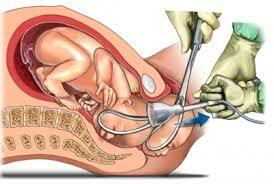 The vacuum and the forceps are thought to pose similar risks of long-term damage (such as brain damage) to the baby. However, the vacuum is less likely than forceps to cause temporary bruising and more likely to cause temporary swelling on the baby’s head or bleeding inside the baby’s eye. If you or your baby suffered from serious health complications after an instrument-assisted delivery, this may have been due to medical malpractice. It is possible that the damage may have been prevented if your doctor or nurse had monitored you more carefully, or been more skilled or experienced at performing instrument-assisted delivery. There are a number of ways in which the negligence of a medical practitioner may have contributed to your injuries or your baby’s injuries. Delivery can be a confusing and hectic time and it might be difficult for you to even remember exactly what happened. If you have any concerns about your treatment during the labour and delivery process, contact a medical malpractice lawyer right away. Serious injuries can have significant financial repercussions for your entire family. A medical malpractice lawyer can make sure that you receive the financial compensation that you deserve. Contact a Canadian Medical Malpractice Lawyer Now!